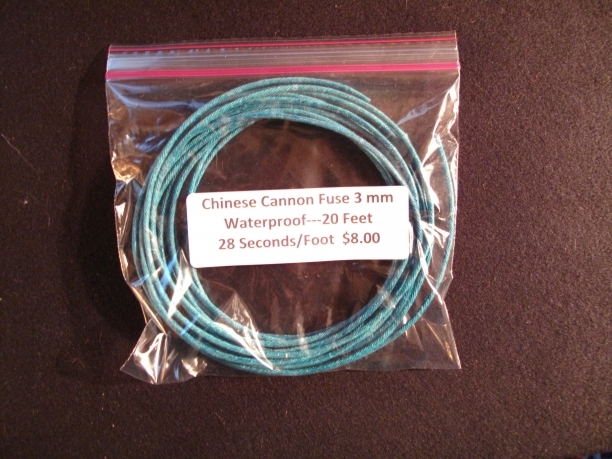 20 Foot Roll of 3 mm Chinese Cannon Fuse. Burns at 28 Seconds per foot. It is important to know the burn rate as this is how long you have to get away. Also available in 100 foot rolls. Only available in green. Be safe and happy shooting.